Craft beer made with freshly harvested citrus from our field L'Hort de Montanya. 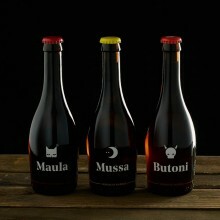 Familia Serra has joined also the world of beers. We collect our freshly harvested citrus and use a secondary fermentation technique, first in barrel and then in bottle. Using natural ingredients such as water, barley malt, wheat malt, hops, yeast and our citrus peel, we get flavors, nuances and aromas impossible to discover in industrial beers. Each beer reminds a legend from Valencia. La Quarantamaula, El Butoni and El Moro Mussa are three of the monsters that frightened us in the childhood when we felt asleep. 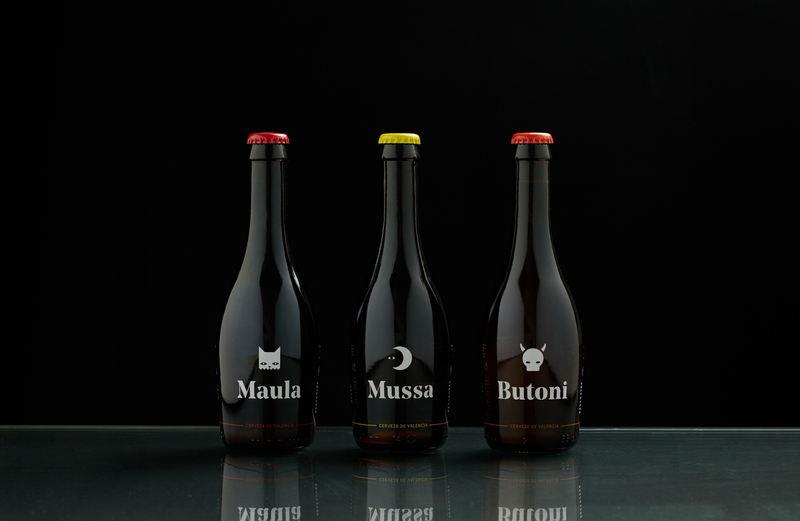 Maula is the craft beer made with our freshly picked blood oranges. Barley beer, Pale Ale style. Bitter, coppery tone and slight aroma of herbs. 5.4% Vol. Ingredients: Water, barley malt, hops, yeast and blood orange. 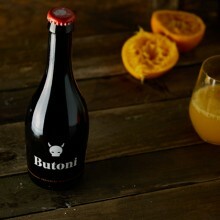 Butoni is the artisan beer made with our freshly harvested oranges. Barley beer, Golden Ale style. Golden tone intense and with bitterness. With a fruity point in the mouth and citrus souvenirs. 5.1% Vol. Ingredients: Water, barley malt, hops, yeast and orange. 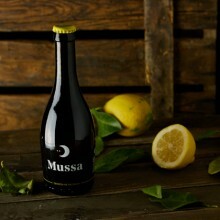 Mussa is our craft beer made with fresh lemons. Wheat beer, Witbier style. Light golden appearance with a citric touch. 4.7% Vol. Ingredients: Water, barley malt, wheat malt, hops, yeast and lemon. It is advisable to store the bottles in a place where the sun does not shine and which temperature is around 20º. Since it’s a natural fermentation product, its conservation can affect its taste and its amount of gas. High temperatures can cause it to continue fermenting and its carbonation would be higher. If so, the beer would have more gas and much more cream (foam), which would make its consumption not so pleasant. Transport costs: if you buy a single bottle beer next to citrus fruit boxes, the transport costs will be free. In case you buy a complete 6 bottles beer box, then the transport costs are already included in the 18,90 euros box.